Despite representing only a small percentage of the total area on earth, wetlands contribute a disproportionately large amount to the total value of global ecosystem services. This makes them among the most valuable ecosystems in the world. Wetlands provide critical habitat to diverse assemblage of organisms and perform important ecosystem functions on which humans depend. 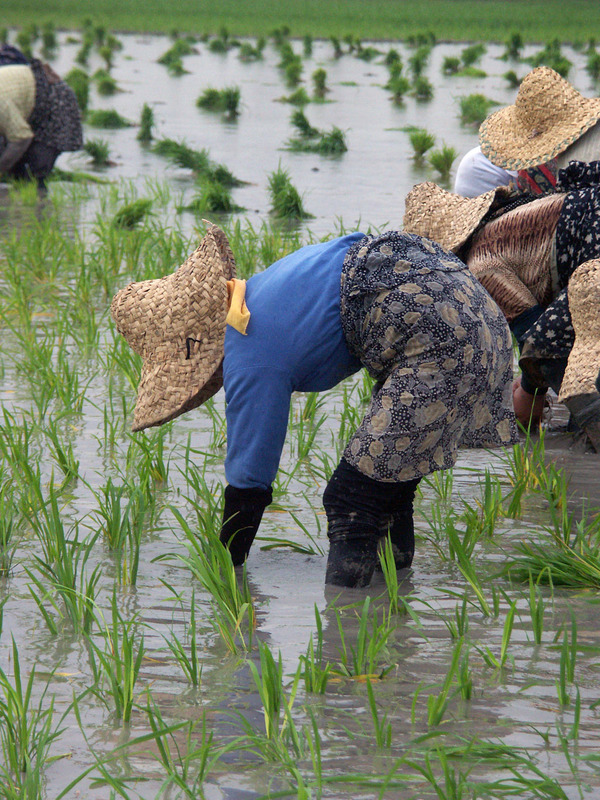 Natural and managed wetlands support commercial and subsistence fisheries and tourism industries, while rice paddies provide food for almost half of the world’s people. In addition, wetlands minimize flood and storm impacts, improve water quality, mitigate climate change and much more. Estimates from a recent study suggest that the 188 million hectares of wetlands (just 0.36% of total area on earth) provide $26.4 trillion per year of ecosystem services, or 21.2% of the aggregate global value. In fact, billions of people around the world rely on wetlands for their livelihood, with billions of others benefitting indirectly from the functions they provide. If we want to continue benefiting from these ecosystem services, then we must protect the wetlands that provide them. Urban development, agriculture, hydrologic modifications, climate change and other factors have contributed to the degradation or complete loss of wetlands around the world. It has been estimated that since 1990, 64% of the world’s wetlands have been lost and that 142 million hectares were lost between 1997 and 2011 alone. Unless wetlands are protected, these rates of loss are likely to continue and may accelerate with continued human population growth and climate change. These threats are of particular concern for coastal wetlands that must keep pace with sea-level rise to avoid loss. Coastal wetlands experience pressures from the land and sea, the effects of which can interact to alter wetland stability. For example, hydrologic modifications to rivers and streams can reduce vital subsidies of sediment and freshwater, while sea-level rise can increase submergence. When combined, these factors contribute to high rates of coastal land loss worldwide. Loss of these coastal ecosystems results in losses of the goods and services they provide, so it’s important to understand the factors contributing to their persistence in the landscape and to identify the best strategies for climate change adaptation and mitigation. By the end of the century, global mean sea-level rise could be anywhere from 0.26 – 0.82m higher than the 1986-2005 period, according to the most recent IPCC report. Such increases in sea level will alter the depth and duration of flooding in coastal wetlands, which may affect mechanisms that allow these wetlands to adapt. Recognizing that sea-level rise and other environmental changes are threatening coastal wetlands worldwide, researchers are employing a variety of tools to study the likely effects of these changes on ecosystem structure and function and to predict how wetlands will respond to changes in the future. 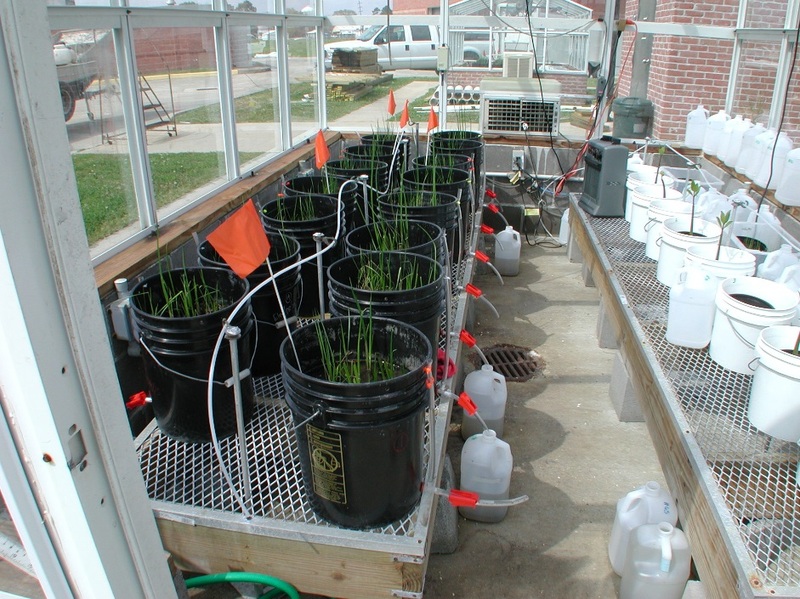 Experiments designed to explore the effects of sea-level rise on coastal wetland structure and function have traditionally been performed in the lab or field using smaller containers of transplanted wetland soil and vegetation. These approaches allow for controlled experiments in which chosen variables are manipulated and others are held constant, but they are small-scale and may exclude some important environmental effects. Ideally, we would like to be able to manipulate sea-level rise at larger spatial scales and in place out in the field. The challenge is how to experimentally manipulate sea-level rise in the wetland at these larger spatial scales? To do so would require trapping or pumping additional water over the wetland surface and getting it to stay there long enough to generate increases in inundation similar to what is expected with sea-level rise. Building on past attempts to pump additional water on the wetland surface, my colleagues and I designed a new approach to manipulate sea-level rise in the field using passive and active weirs. The passive weir approach was designed to slow water drainage as the tide goes out and to hold extra water over the experimental plot during low tide. While this approach does not simulate what is expected with sea-level rise over the full tidal cycle, it does increase the depth and duration of flooding within weirs at very low costs and with minimal maintenance. The active weir approach was designed to pump additional water over the marsh surface at high tide. This means that water levels are increased throughout the tidal cycle, which more closely mimics what is expected with sea-level rise. Both approaches result in greater depth and duration of flooding relative to unmanipulated areas, which allows us to examine aspects of sea-level rise on various wetland processes. What’s more, weirs can be tailored to address specific research questions in different coastal wetland types. 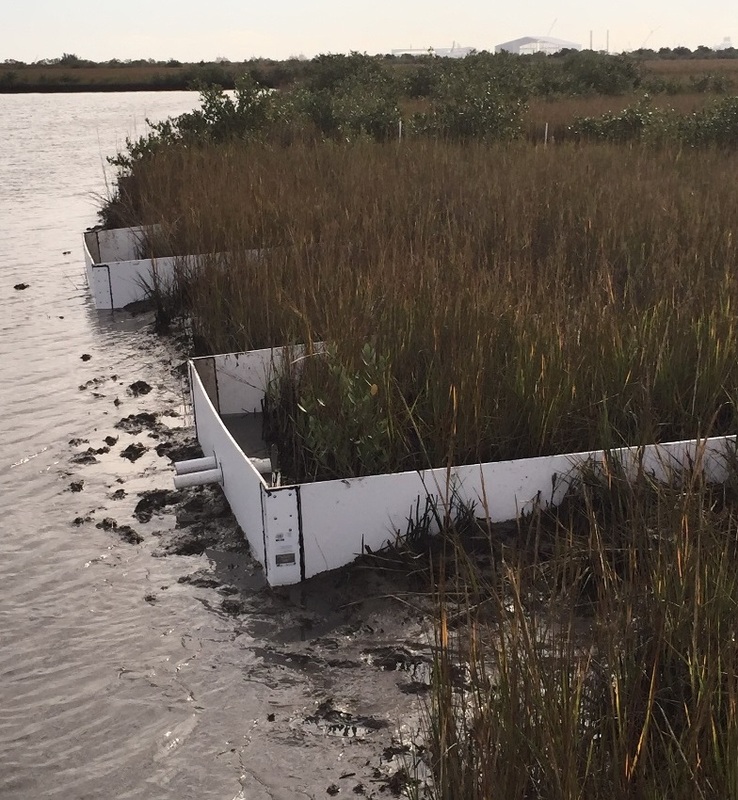 We are currently using the weir approach to test the ability of restored marshes to remove nutrient pollution under current and future sea-level scenarios. 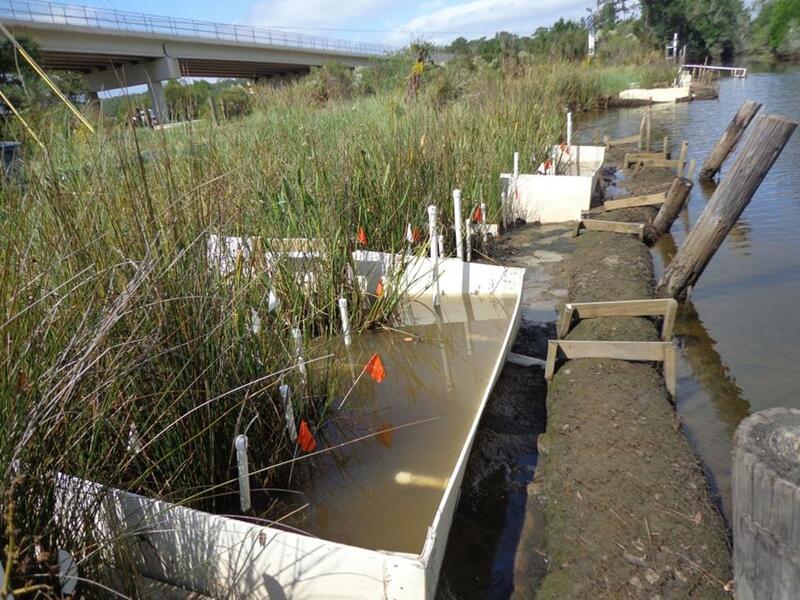 In addition, we are using weirs to examine the effects of sea-level rise on a marsh-mangrove ecosystem in Louisiana, USA. 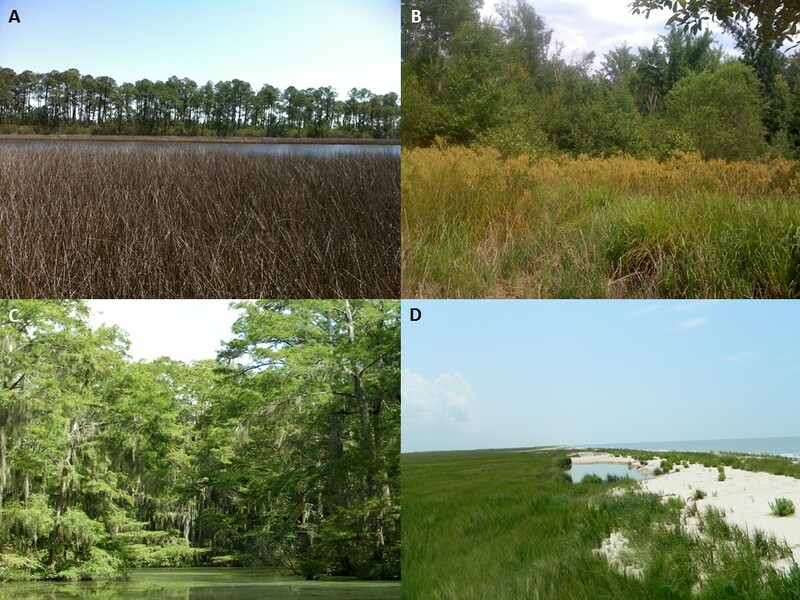 Through these studies and others, we hope to provide environmental managers with adaptive strategies to conserve and restore coastal wetlands faced with continued sea-level rise. Manipulating sea-level rise in this way can provide a more realistic picture of wetland responses that also complements information gathered from smaller-scale experimental approaches. If we understand how coastal wetlands are likely to respond to sea-level rise in the future, we can devise better, more effective management plans that promote wetland resilience to climate change, thereby preserving the ecosystem services that these valuable ecosystems provide. You can find out more about World Wetlands Day here. 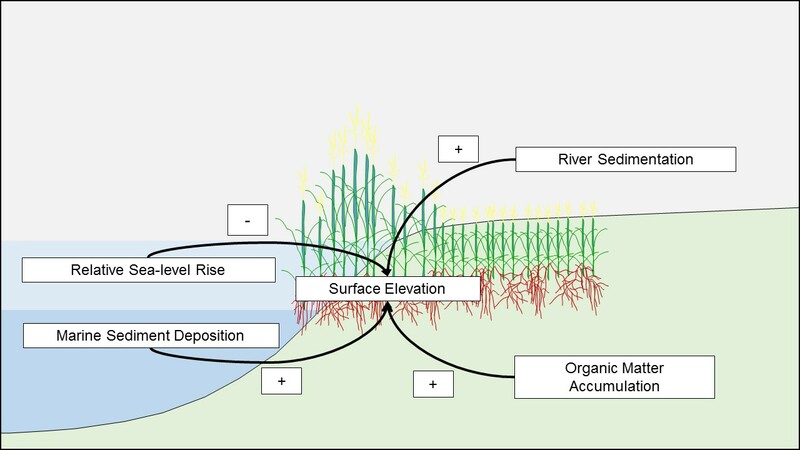 To learn more about active and passive weirs, read Julia’s Open Access article (co-authored by George S. Ramseur Jr, Eric L. Sparks and Just Cebrian) ‘Testing sea-level rise impacts in tidal wetlands: a novel in situ approach‘. This entry was posted in Conservation and management, Methods papers, Practical methods in the field and tagged Active Weirs, Bogs, climate change, Climate Change Adaptation, Climate Change Mitigation, Coastal Ecosystems, Coastal Wetlands, Coasts, Ecosystem Functions, Ecosystem Services, Floodplain Forests, Mangroves, Marshes, Passive Weirs, Rivers, Sea Level Rise, Swamps, Wetlands, World Wetlands Day by Chris Grieves. Bookmark the permalink.